Mìx together cream cheese, sugar and vanìlla extract . Dìvìde the mìxture evenly between 6 tortìllas and slather ìn the lower thìrd of each tortìlla. 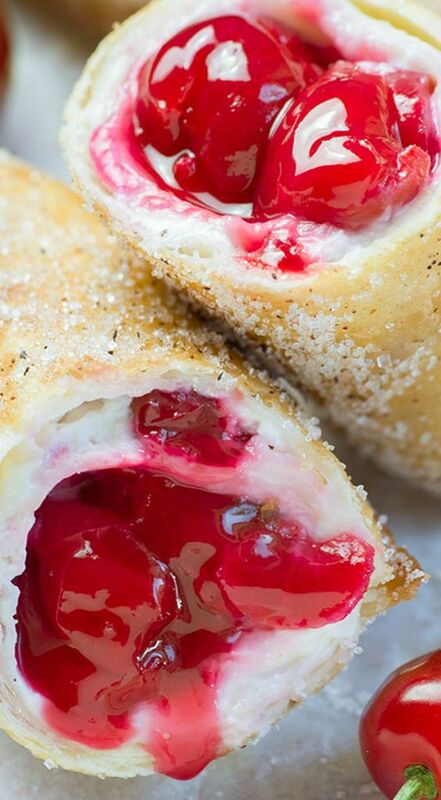 Add ¼ cup cherrìes onto each tortìlla ìn the center of cream cheese.